Arundhati Bhattacharya has been appointed for a period of five years commencing from October 17, 2018. 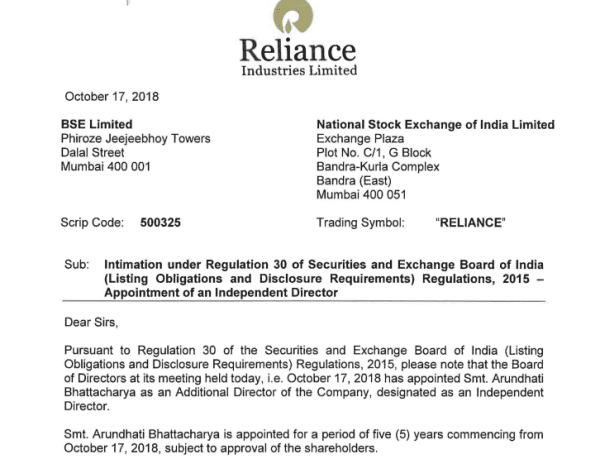 Reliance Industries Limited (RIL) has appointed former State Bank of India (SBI) chairman Arundhati Bhattacharya as an independent additional director of the company. 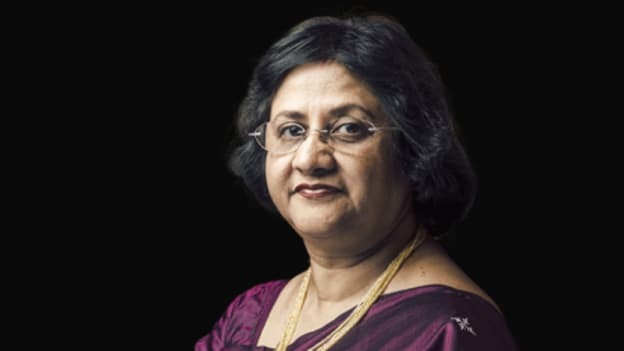 Bhattacharya, 40, was the first woman chairman of SBI. She also has a rich experience in India's financial sector of working across varied roles and diverse national and international locations. In 2016, Forbes magazine had ranked her 25th in their list of "most powerful women in the world" and fifth in "the most powerful women in finance" category. Additionally, she has also been featured in the Fortune list of top 50 globally most powerful women in business and ranked among the top five in the Asia-Pacific region. Last week, she also joined the largest homegrown private equity firm ChrysCapital Advisors LLP as an advisor.